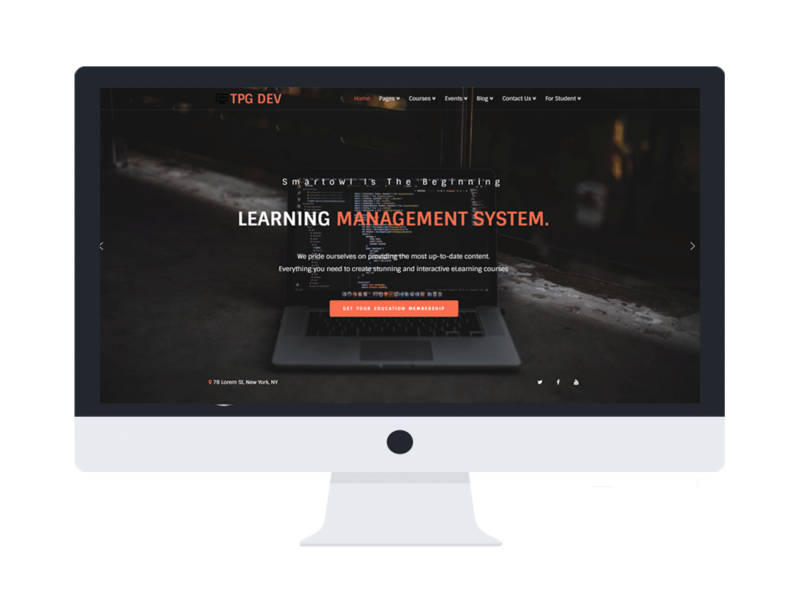 TPG Dev is a well-designed WordPress Developer theme which is specially created for professional developers to share experience and knowledge, as well as selling online courses with attractive price. The theme comes with amazing content organization, beautiful design in high-quality images, eye-catching full-width sliders appearing with nice transition effects, which will draw any visitors attention at the first sight and make them stay longer to explore the site. TPG Dev provides you many ideas to showcase your skills, experiences in an impressive way, so it is easier to get trust from clients. Besides, this theme also integrates with Eventlisting, Learnpress which serve many purposes like sharing knowledge, promoting useful courses and events with detail date and time, etc. TPG Dev has been developed on the latest web technologies and it offers a fully responsive and flawless layout on any kinds of mobile devices, it is also fully customizable so you can make any change you want on your site without wasting time and effort. Let’s give your site an amazing appearance with our WordPress Developer theme today! TakeWP provides the best premium WordPress themes with professional design and featured plugins.